29) Where is this sculpture? 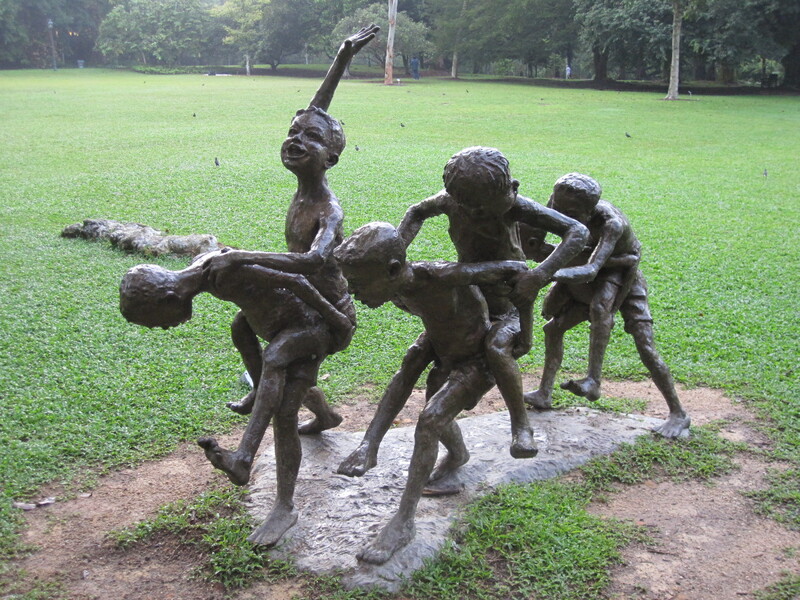 The “Chang Kuda” Sculpture happily enjoying themselves in the Singapore Botanic Gardens. It is situated directly opposite the swan lake below a small hill. “Chang” in Malay describes “piggyback” where “Kuda” means “horse”. So, it literally means “piggyback on a horse”. It is a famous childhood game during the 50s and 60s. This entry was posted in Singapore Spot a Spot / 点出景点 and tagged History, life, photography, postaday, Singapore, tourist spot in singapore. You show me beauty I would otherwise never see, and feel and taste. I agree. There is always something interesting and unusual on this blog!! This picture just made me remember my childhood. Thanks for sharing. It is too far away from me so I’am lucky to see a picture from the sculpture.